Well-meaning women sometimes say to me, “I just don’t know how you do it.” I could be wrong, but I think they are referring to the fact that I have a family and a full-time job, plus the completion of a doctoral degree looming over my head, yet I manage to bathe and dress myself, show up on time to all the places I need to be, and try to exhibit some sense while I’m there. I’m not trying to be snarky; I just feel like I’m only barely keeping myself together. 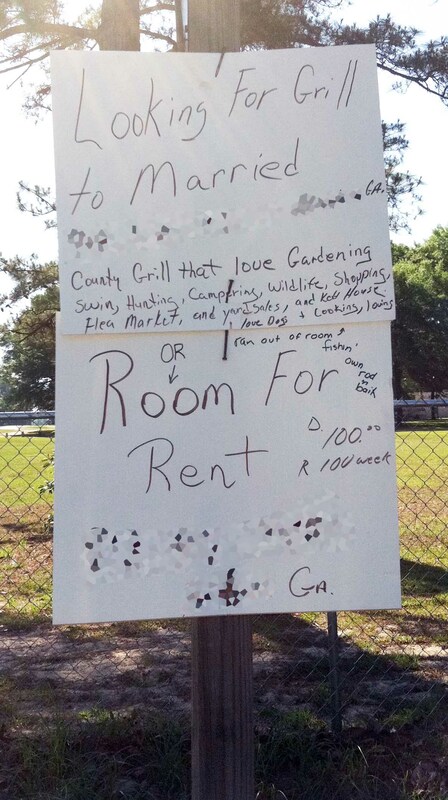 There’s some half-assery going on. Hence the extended time between posts on this blog. And last week, I had a fetal-position moment that resolved itself only through Eddie rubbing slow circles on my back and speaking in low tones — you know, the way you speak to some rabid animal that’s gotten between you and your back door. I’m sure he wished he could consult some kind of Wife Manual. There now … Don’t you feel better? I know I do. 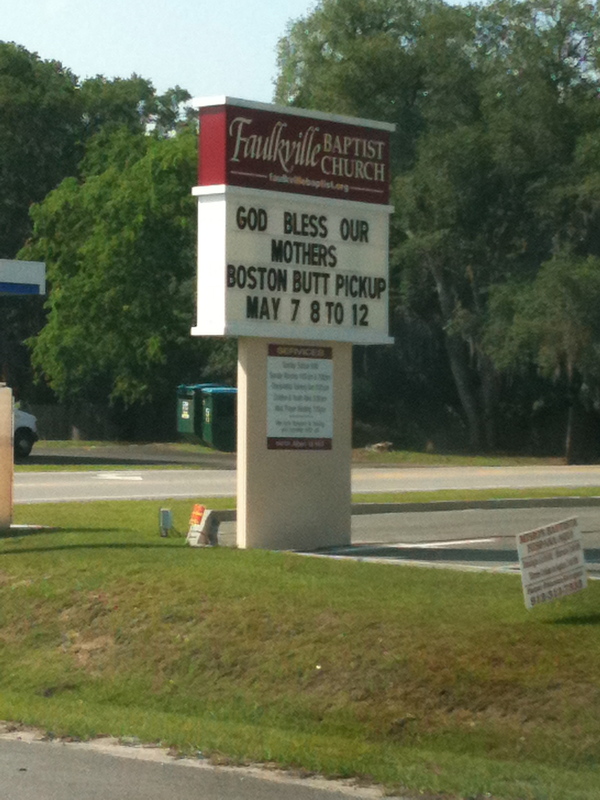 From Blitchton, here’s proof of functional illiteracy in America. He was scratching my back and asked me what the straps were. I explained the concept of a bra, and likened it to boys wearing underwear to support their bits. He wanted to know more. D: Why can’t I wear one? Me: Because you don’t have breasts and there’s nothing to support. D: Daddy’s chest sticks out. Me: Yes. He has pectoral muscles not breasts. D: Well my muscles are going to stick out too because I eat my vegetables. This morning’s goodbye kiss with Eddie was a little longer than usual. Then we noticed Dominic looking at us and smiling. D: That’s just like in the movies! Tonight he was wrestling with Gideon, and Gideon got hurt and started crying. Me: How many times have I told you not to play like that? 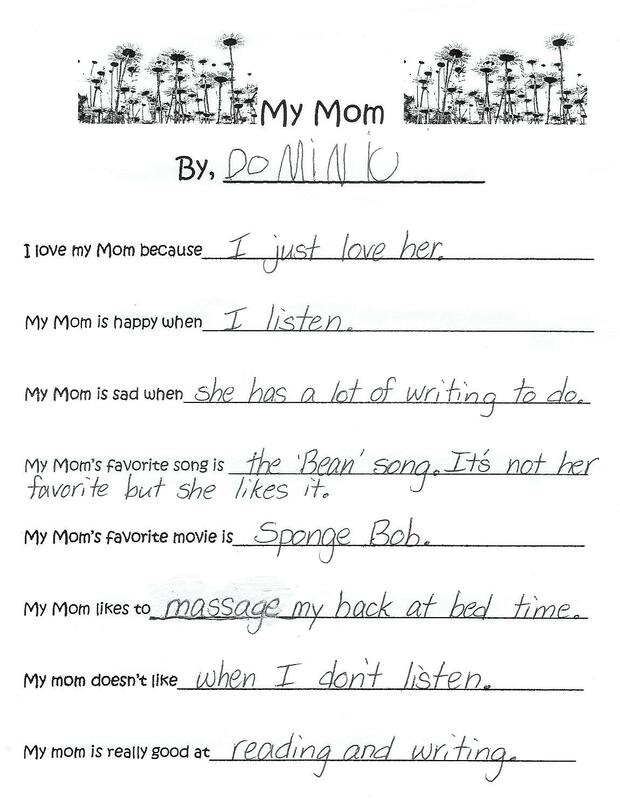 Dominic did this at school (with his teacher’s help, of course) and presented it to me today for Mother’s Day. He was so proud! I apologize for my dissertation-induced hiatus. I’m back with a vengeance: a roundup of this week’s idiocy, near and far. 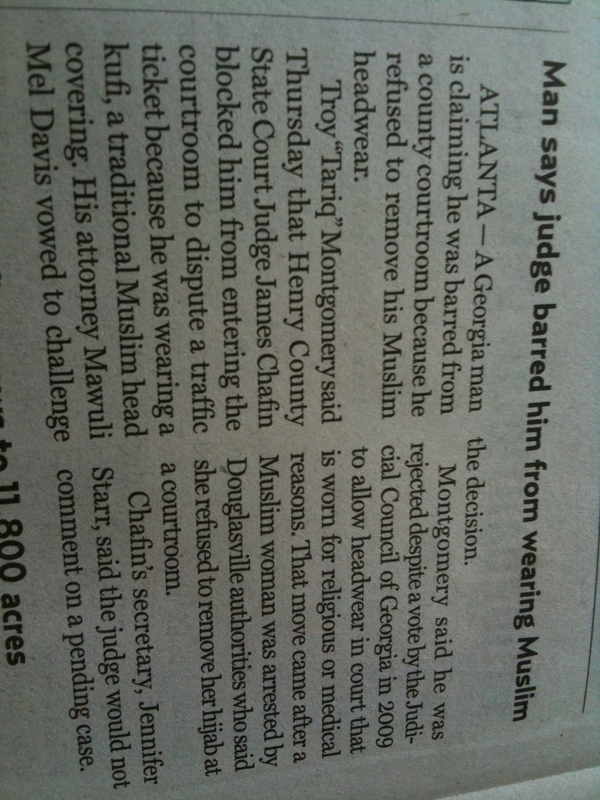 I can't imagine the Muslim would want to be worn anyway. And I’ve just discovered the apostrophe key is not working on my laptop (all of the ones here were cut and pasted). How will I survive?